In 2016 the two theatre artists Helene Høm and Thomas Danielsen opened UNDREVÆRKET in a former missionary church house in Gudhjem on the small island Bornholm in the Baltic Sea. We produce and show performances and theatre arts, that question the conventional ways of working with – and seeing – theatre and performance today. We also arrange international theatre courses, offers “production in residence” where groups and artists can come to Bornholm to work on their own projects, and we do our best to support the local theatre activities for kids and young people on Bornholm. Studied acting at Aarhus Theatre Academy (1983-84) , Commedia School Copenhagen (1984-86) and Ecole Phillippe Gaulier (1987-96). From 2009-2014 he also studied acting with Paul Oertel and Nancy Spanier in France/Discipline of freedom. 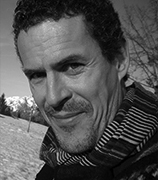 Thomas is a teacher in the Feldenkrais method and studied psycho therapy since 1998.Since 1989 he was co-leader of Teater Patrasket in Copenhagen, touring international for more than 25 years . Studied BA in visual theatre arts and graduated from ”Norwegian Theatre Academy” in 2004. 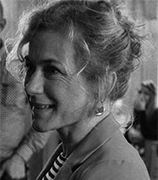 Today Helene Høm works as interdisciplinary theatre maker. She is testing and crossing the boarders between theater and visual arts, and since 2005 she has especially worked with metaphorical costumes. From 2004-2005 she started ”PassinByTheatre” in Copenhagen, in 2003-2006 she started ”Gudhjem Netværksscene”.She lived and worked in Zürich from 2007-2010 with the Swiss -German theatre ensemble Plasma.